Foraging may be the latest food trend, but it is a pastime that passionate cooks have long enjoyed. And as The Forager s Kitchen demonstrates, foraging can result in some truly scrumptious dishes! 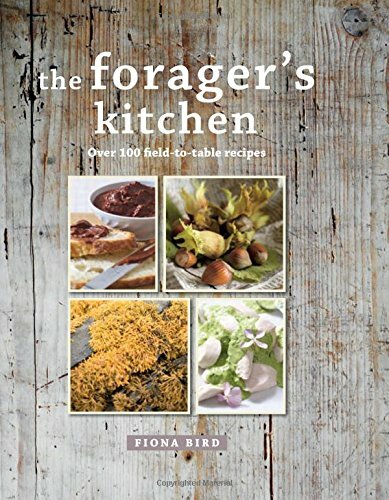 Written by Fiona Bird, a tenacious forager who has been gathering food for many years, The Forager s Kitchen will show you that you can eat off the land wherever you live. Whether you live in a large city, in open countryside, or by the coast, you will find more ingredients growing in the wild than you could imagine. With a little bit of expert knowledge and some handy tips to guide your fingers, you ll learn the best spots and seasons to find your favourite foods, for free!Then, once you have brought your bounty home, there are more than 100 simple recipes for you to try. From carrot and clover cake to wild berry and herb marshmallows, you ll never look at the outdoors in the same way again.